Orlando may be a holiday destination made famous by a certain mouse and his theme park, but that doesn’t define the whole city. There’s a hidden side to Orlando ready to be discovered. So why not take a look over our list of people’s favourite discoveries in Orlando, you might find something worth stumbling on; after all, the city’s not known as “The City Beautiful” for nothing. 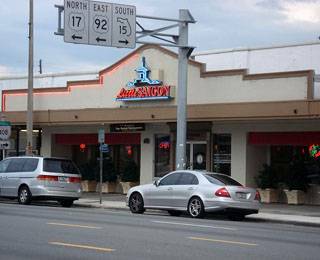 For someone with exotic tastes, dozens of Vietnamese and Chinese restaurants lay hidden in the Little Saigon district of downtown Orlando. Authentic cuisine and local shops provide a taste of these unique cultures and a few interesting souvenirs too. Remember, Chinese cuisine is apparently more than a thousand years old (there’s no excuse not to grab a few spring rolls on your travels) while Vietnamese cuisine is one of the freshest and healthiest styles in the world! If your palate favours the more classical taste, don’t worry. While you’re downtown check out the Antique district, a three-block collection of antique stores and restaurants that’ll provide your daily dose of arts and culture and then some. Whether you’re looking for an extra special souvenir with a vintage twist, or just a lazy morning spent exploring things old and beautiful, this is a place to wander; enjoy some good food & drink from the boutique bistros and cafes that line the streets and relax. 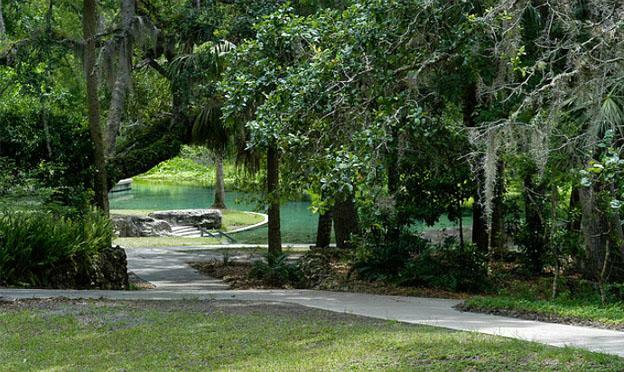 For those looking for a day trip out of the city, Kelly Park is an unassumingly named county park located northwest of Orlando. It may be a bit out of the way but this little gem is quite the find. You’ll be presented with cool, crystal-clear pools and a lazy river to relax in (if you don’t mind getting your feet wet) or by (perfect for picnics). A picturesque forest surrounds you in this quite, well-maintained spot and it’s perfect for both a family day out, and a lone traveller looking for somewhere to unwind. We hope you like fishes though, because the waters are dotted with colourful little companions, often swimming only a few feet away. Talking of peace and quiet, you wouldn’t expect to find it among the theme parks that make Orlando famous. The Winter Park Area of Orlando has been called “The Venice of America”, and by taking a lazy boat ride through its lakes you’ll get the best view of the famous scenery. You’ll go lake to lake with the option to visit various parks and local sights, or just grab yourself a quiet seat and take in the sights. Beautiful lines of trees and old-houses frame the waters and provide many opportunities for a good photo or two. A relaxing experience, this doesn’t come without a price and you should prepare yourself for a few delays; these quiet waterways struggle to cope with more than a few boats at a time! Orlando might be well known for its theme parks, but with these few tips to inspire you, we hope you’ll be out discovering the hidden side of Orlando. All you need is a picnic basket and cheap car hire in Orlando for a fabulous time. After all, sometimes cartoon mice and roller-coasters (no matter how fun) don’t always cut it.